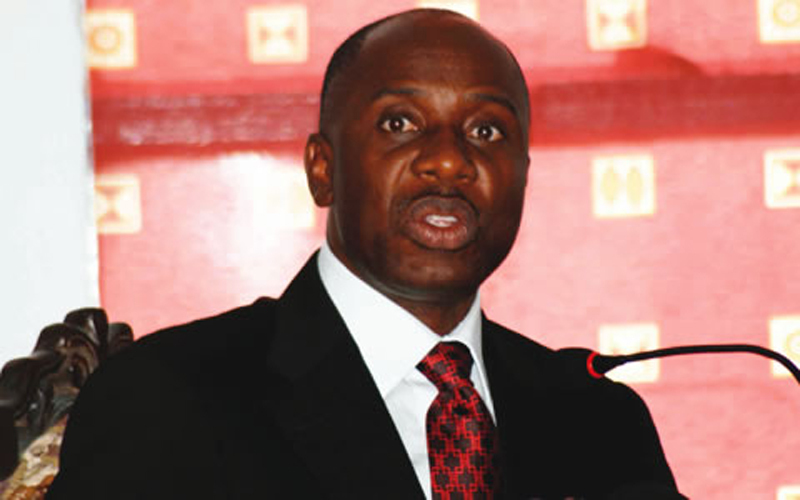 Today the Chairman of the Nigeria Governors Forum and Governor of Rivers State, Rotimi Amaechi was held hostage by soldiers in Ondo state. 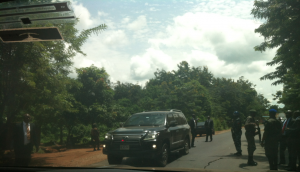 Governor Amaechi who was heading to Ekiti state for the final campaign rally for his colleague, Kayode Fayemi who is seeking a second term, landed in Akure, Ondo state to drive to Ekiti, but was ambushed by a military checkpoint. 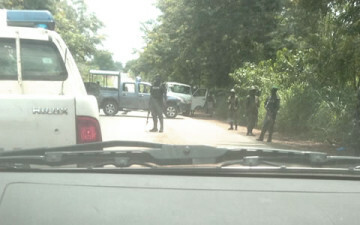 Confirming the incident, an SSS officer attached to the Governor, said that the military kept them in hostage for 3 hours after releasing them and forcing them to return to Ondo, as well as escorting them to make sure they didnt return. On return to Ondo, the plane that carried them from Port Harcourt was grounded by aviation authority.’He is currently in the airport trying to get on a commercial flight back to Port Hharcourt, Rivers State. Picture of the blockade set up by the soldiers to stop Governor Amaechi. Govenor Amaechi’s security details talking to soldiers who stopped their convoy. 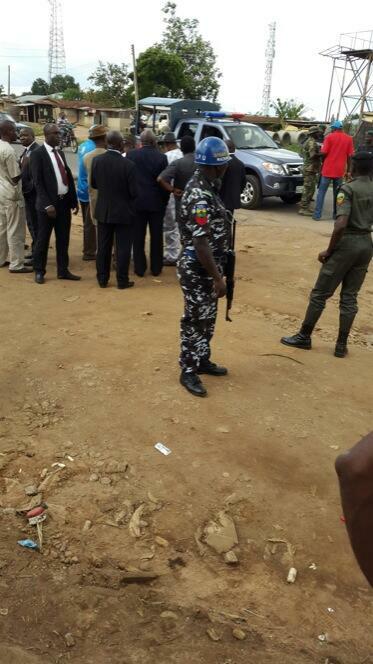 Governor Rotimi Amaechi talking to security operatives who stopped him.